I first heard about it on the news, the wires had picked up the story from just north of Bloomington, IL. 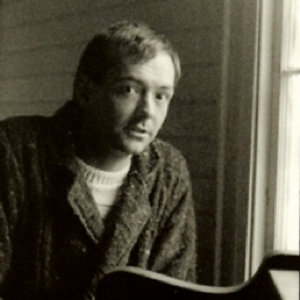 On the evening of Friday September 19, 1997 Rich Mullins died. It’s been 20 years. It was just a month shy of Rich’s 42nd birthday. On his way to do a benefit concert at Wichita State University in Kansas, Rich and Mitch McVicker were on I-39 southbound. Just north of Bloomington Rich lost control of his Jeep Wrangler. Neither Rich nor Mitch were wearing seatbelts. The Jeep flipped, throwing both of them from the vehicle. An oncoming 18-wheeler swerved to miss hitting the Jeep, not seeing Rich who was too injured to move out of the way. The truck struck Rich, killing him instantly. I still can’t find the words. I was working in St. Louis back then, at WCBW the Bridge. Rich had been there just a week or two earlier, doing a concert at a small local church. He gathered all of us who were involved in the show into a little office before the concert started. To call it an office is something of an overstatement. It was more of a closet with a desk and a phone crammed into it. We prayed. Rich looked tired, almost haggard. A couple of days’ worth of stubble didn’t help. There were circles under his eyes. And those eyes didn’t have quite the impish sparkle I remembered from earlier meetings, when both of us were younger. I got him out on stage, stayed for a couple of songs and then headed home. 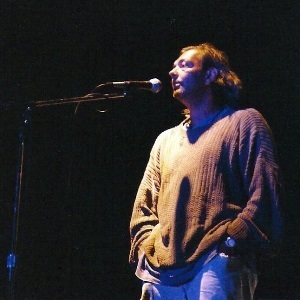 That was my last encounter with Rich Mullins. At least on this side of eternity. I first met Rich in April 1987 in Nashville. At that point he had one album to his credit, the 1986 “Rich Mullins” which had yielded the minor hit “Elijah.” Back then he was still largely known as the guy who’d written “Sing Your Praise To The Lord” for Amy Grant. It was the Gospel Music Association (GMA) week and downtown was crawling with Christian radio guys, record label reps and artists. A group of us decided to go to The Old Spaghetti Factory. Rich was among us. As we walked down Commerce Street, Rich got out ahead of us and started skipping down the street. Skipping. In the middle of the street. He could be a bit of an eccentric. Or a flake. Depending on your point of view and how manic he was behaving at any given moment. But he could turn a phrase with the best of them. Some of his lyrics were almost Davidic. He’s among, if not THE, best lyricist since they stopped accepting submissions for the book of Psalms. Christian or mainstream. Lennon-McCartney, Simon, Dylan, Springsteen? Amateurs by comparison. And with all due respect to Tomlin, Redman, Baloche and their ilk of praise and worship writers, Mullins set the bar so high that most don’t even realize there is a bar. “Sing Your Praise To The Lord” was only the beginning. “Awesome God” arguably ushered in the contemporary praise and worship genre. And “Sometimes By Step” darn near perfected it. Sure the chorus (actually written by Rich’s long-time friend and collaborator Beaker and first released as “Step By Step” on the 1991 “The World As Best As It, Vol. 1”) is kind of, well, chorusy. 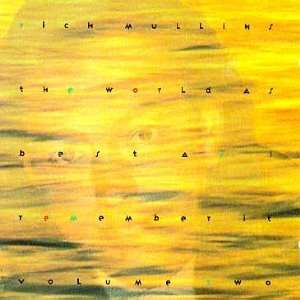 But Rich went back and added a few verses and put it on the 1992 “The World As Best As I Remember It, Vol. 2”. That transformed it from a really good praise and worship ditty to an amazing statement of faith in the face of doubt and an admission of human weakness in light of God’s omnipotence. But Rich wasn’t a praise and worship artist. It’s not fair to limit whatever it is that Rich Mullins was with that simple definition. His was a talent far more literary than the mere praise and worship (with lyrics largely plagiarized directly from scripture) being churned out today, like the fast food of the music industry. Rich has that once-in-a-century gift of holding seemingly unrelated Biblical passages and truths up to the light like a prism, and discovering new colors and nuances. And then he would turn those truths into verse so rich, so lyrical and literary that to this day they take my breath away. And while he exposed truth in new ways he also embraced tradition. His song “Creed,” from the 1993 “A Liturgy, A Legacy & A Ragamuffin Band (the title itself a nod to tradition), is Rich’s almost word-for-word version of the Apostles’ Creed, which dates to 390 AD. Several years after that initial skip down Commerce Street I was back in Nashville at another GMA week. It had to be 1991 or 1992. Rich’s record label had rented out a local coffee shop and invited a bunch of radio folks to a concert. Just Rich and Beaker, a dulcimer and a couple of guitars. Pure artistry. Before leaving that evening we each received a special CD that contained both volumes of “The World As Best As I Remember It.” That is still my most prized recording. 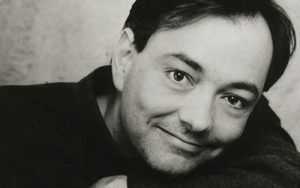 One of the biggest tragedies about the death of Rich Mullins 20 years ago is that so many people have never heard his music. Very few radio stations, including the one I work for, play any of his songs on the air. I think his music still holds up. But then again, I’m old and nostalgic. Rich passed before HD video and at a time when not very many Christian artists were doing concept music videos. He did a few, though they’re hard to find and those that are available online are of poor video quality. There are a number of live performance videos out there, but their quality is also substandard. Still, I share a few of them here, hoping that the music and lyrics are enough to refresh your memory of this almost infinitely talented creature. And for those who are unfamiliar with the works of Rich Mullins, I hope this inspires you to seek out more. And yet another from the Liturgy project, “Hold Me Jesus.” This one includes Rich talking about faith and placing one’s security in the all sufficient grace of God. Here’s a live version of “Sometimes By Step” from the 1992 “The World As Best As I Remember It, Vol. 2.” Rich introduces it as a prayer song. From “The World As Best As I Remember It, Vol. 1” released in 1991, this is the unofficial official version of “I See You.” According to the notes on You Tube, this was shot entirely on location in Tse Bonito, New Mexico where Rich had lived and worked with the Navajo Nation. It was finished just before Rich’s death and was never officially released. Finally, about six months after Rich died, April 1998, the GMA Dove Awards did a tribute to Rich featuring several artists performing some of his songs.